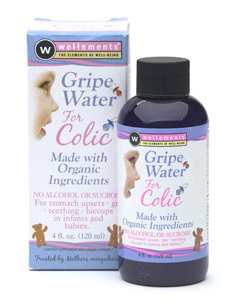 For centuries, gripe water for babies has been used to treat baby colic. In this post, we’ll discuss the use of Gripe Water for Newborns. Gripe water is not a brand name, but instead is a generic term for a mixture of herbs. Gripe water is sold over the counter in drugstores and pharmacies worldwide. There are many different brands of gripe water for babies, and they all may be a little different. Gripe Water for Newborns was first used in England in the middle of the nineteenth century. Originally, the recipe included alcohol, dill, sodium bicarbonate (baking soda), and sugar. Since gripe water was first made, the formula has changed greatly and gripe waters today don’t include alcohol. Some additional herbs are used, like fennel, chamomile, and ginger. Since there is a difference in ingredients between brands, it’s a good idea to check the label and make sure it does not include anything that you know your baby is allergic to. The reason some parents have found gripe water to help treat baby colic is that the herbs it contains help soothe the baby’s stomach. It might also help to relieve painful stomach cramps that cause colic symptoms. Gripe water is a liquid that you can spoon directly into the baby’s mouth. 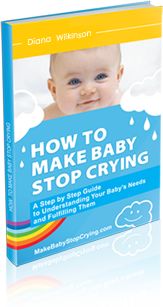 If your baby really doesn’t like this, you can also try mixing the gripe water in with a bottle of formula. In the over 150 years since people have started using it, gripe water has helped give many thousands of babies and parents relief from baby colic. Your newborn may respond to it, or he or she may not. Since treating colic is all about trial and error, remember not to get discouraged if one treatment doesn’t work: simply try something else for a few days. If you have tried many different ways of soothing your baby and nothing seems to work, do not hesitate to ask your pediatrician or pharmacist for advice.